Brains: they're not just for zombie breakfast anymore! 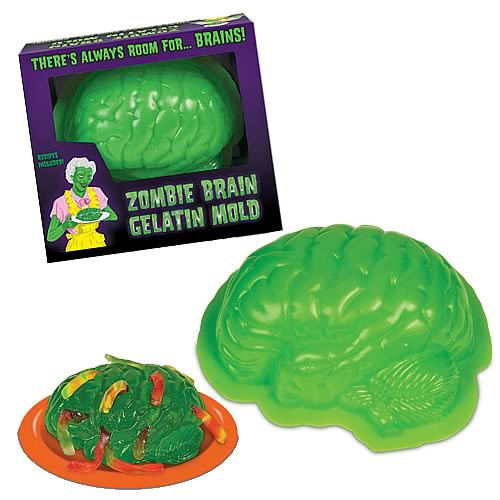 This plastic gelatin mold produces a 7 1/2 x 6 1/2) brain - which just happens to be the perfect size for a ravenous zombie! Impress your friends as you reenact scenes from Night of the Living Dead. Includes a recipe for Worm Infested Zombie Brain.